In an interview with Sputnik, Retired Rear Admiral of the Turkish Navy Cem Gürdeniz has commented on CNN reports that the US is preparing to send a warship to the Black Sea. 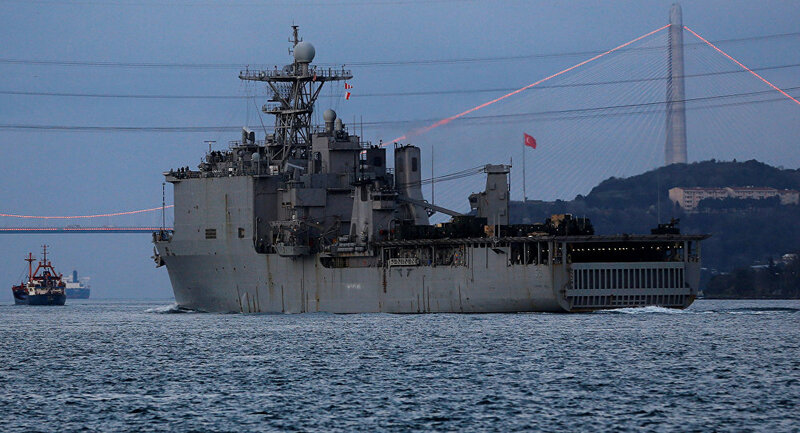 The message emphasises that the US may require Turkey to allow its military ships to pass through the Bosphorus into the Black Sea under the Montreux Convention. According to Gürdeniz, with such messages, American media outlets are trying to portray usual, routine US activity in the Black Sea as a kind of a "strategic manoeuvre". "Ukraine made a series of efforts in order to win over NATO after the incident in Kerch. But the Alliance did not take any concrete steps to ensure the security of Ukraine in the event of a possible future crisis with Russia in the region. Therefore, the purpose of such statements is to try to calm the Ukrainian authorities and the public. In this regard, the American press represents the standard activity of NATO ships in the Black Sea related to exercises or port visits as a "new diplomatic and strategic manoeuvre", he stressed. Emphasising that the current situation in the region complies with the provisions of the Montreux Convention Regarding the Regime of the Straits, Gürdeniz added that NATO ships were present in the waters of the region for 120 days a year, and this corresponds to the provisions of the Montreux Convention. "At present, a well-established framework continues to operate in this regard that fully meets the requirements of the Convention Regarding the Straits, while a number of international TV channels and leading news agencies strive to create the impression that some new requirements are being put forward that have not previously been expressed," he noted. All these actions are nothing more than an operation to form public opinion, the expert noted. "Information about the possible passage of American military vessels through the Kerch Strait is in itself provocative. I do think that this is not the case here at all. This is mere speculation thrown into the media space through MSM in order to form a certain agenda and public opinion. I have seen recent Pentagon statements on this issue. There was no mention of the Kerch Strait or the Sea of Azov in them. Since 1954, no military vessel may enter the waters of the Sea of Azov, which has the status of inland waters, without the permission of Russia", he added. Having recalled that, according to the Montreux Convention Regarding the Regime of the Straits signed in 1936, countries that do not have access to the Black Sea must request permission within 15 days from Turkey for the passage of their warships through the Bosphorus and the Dardanelles. "We face a situation in which they try to present a system that has been functioning for a long time as something new. This is the same as saying that ‘ExxonMobil will conduct exploration on the No. 10 field in the Eastern Mediterranean, thus America is sending its warships.' But at the end, America has already been present in the Mediterranean since 1946", Gürdeniz concluded.